International Wine Communicator of the Year (IWSC) Jane Parkinson presents an authoritative and informative guide that gives you the lowdown on wine and how to make the most of it. 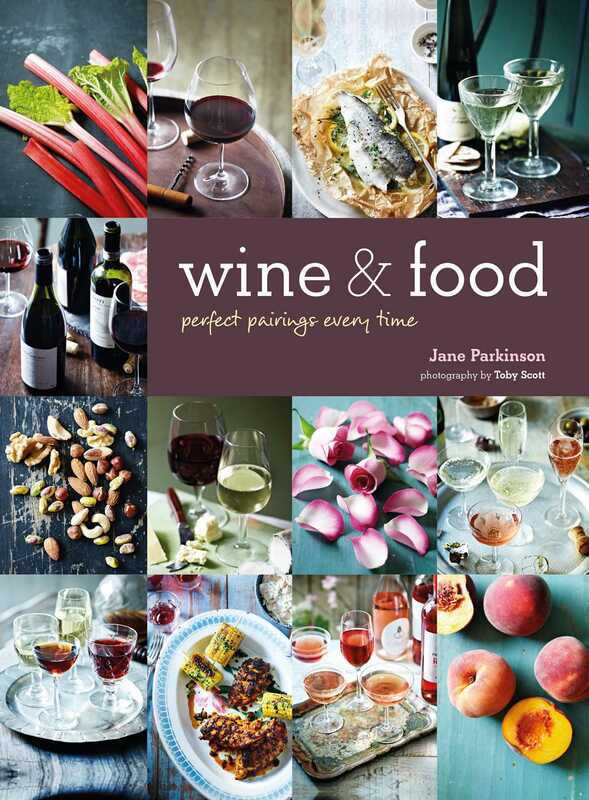 Wine & Food offers a fresh look at the global wine scene with detailed information on more than 20 grapes and styles. Understanding storing and pouring wine, and what food to serve it with teaches you exactly how to pick the right wine every time. The way we buy wine, serve it, enjoy it, and match it with food has changed enormously in the last decade, so start with the basics at The Bar where you’ll find all the latest information on glasses, equipment, storage, temperature, and trends on the current scene. Head to The Cellar for taste and flavor notes on red, white, blush, fizz, fortified, and dessert wines, from Pinot Noir, Cabernet Sauvignon, and Port to Chardonnay, Sherry, and Champagne help you to decide which style is best for you. Each grape or style is broken down by flavor, and identified with a visual key to help you recognize at a glance the profile of a wine and select food to enjoy it with. Once you’ve discovered all the detail you need on your chosen wine, head to The Table for an exploration of how to pair it with food. With sections on meat, fish (you really can pair red wine with fish! ), veg, spice, sauce, and cheese, including four cheese flights for entertaining, you’ll be prepared to enhance your dish with no more than a pour. Also included are ten breakout pieces that take a playful look at unusual subjects, including a Same Wine Different Glass Test, Let’s Talk Tannin, and Organic Biodynamic and Natural Wine, that really bring the enjoyment of drinking wine to life.